The History of the Roanoke VA Real Estate Market Spans More Than 15,000 Years: The first people who lived in what is now the Roanoke VA real estate market were members of the Tutelo, Monacan, Iroquois, Cherokee and Shawnee tribes who settled in the area at least 15,000 years ago. They established thriving villages and trading posts that are well-known among anthropologists for their complexity. The first European settlers who lived near what is now the Roanoke real estate market arrived during the middle of the 17th century. They were led by a group of German and Scotch-Irish settlers who established Roanoke homes near what is now U.S. Routes 11 and 211. Other settlers arrived in the area after the completion of the French and Indian War. Roanoke's first settlement were established in 1796 after settlers converted Roanoke properties into farms and ironworks. Residents originally named the settlement "Big Lick" after the salt marshes that were located in the area. Roanoke's present name was established in 1882 by residents who named the community for a nearby valley that shares the same name. Interest in real estate in Roanoke increased during the 1880s after profitable coal mines were established near the Coal River. Most of these coal mines became profitable after railroad service was established in Roanoke. 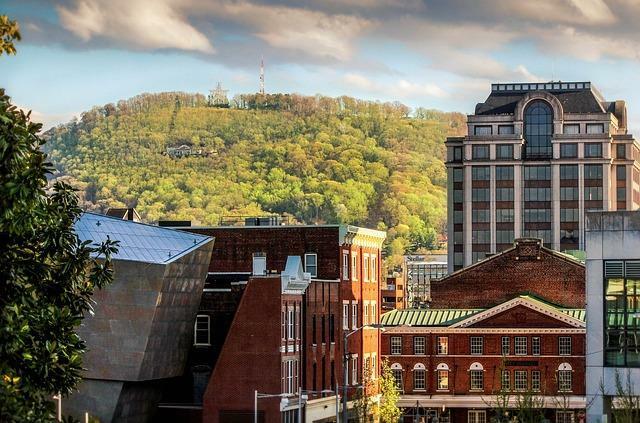 Roanoke remained a thriving coal mining community until the early 20th century when textile mills and others industries were established in the area. These industries were replaced during the 1970s by thriving technology and health care industries. Roanoke homes for sale are now located in a beautiful Roanoke Valley community that offers home buyers a fascinating culture, safe neighborhoods and many interesting career paths. These benefits make Roanoke homes a great value for anyone who relocates to Roanoke. For more information about the history of homes for sale in Roanoke, please read this online article written by the Historical Society of Western Virgina. The Roanoke Parks and Recreation Department Offers Many Recreational Facilities: The Roanoke Parks and Recreation Department offers more than 90 recreational facilities that are a part of one of the country's largest public recreation programs. Some of the most popular Roanoke recreational facilities include Carvins Cove Nature Preserve, Mill Mountain Park, eight urban greenways and 70 parks. Moreover, the Roanoke Parks and Recreation Department also offers one of the country's largest recreational activities programs. Some of the most popular Roanoke recreational activities include astronomy classes, several outdoor recreation activities and more than 15 recreational sports programs. Roanoke VA Homes Are Located near Many Fun Attractions: Roanoke VA homes are located near many fun attractions that offer something for nearly everybody. Three Roanoke attractions that are especially worth visiting include the Taubman Museum of Art, Mill Mountain Zoo and Roanoke Civic Center. Moreover, Roanoke home buyers will also enjoy visiting the O. Winston Link Museum Center and the Virgina Museum of Transportation. Roanoke Real Estate Agents Are Located near Events That Are Fun to Attend: The Roanoke Valley is home to many fun events that offer home buyers who contact a Roanoke realtor a great way to learn about Roanoke's culture. Some of the most popular Roanoke events include the Roanoke Craft Beer Tour, the Oak Barrel Blues Festival and the Layman Family Farms Fall Festival. Roanoke home buyers can find details about other Roanoke Valley events by visiting the Roanoke Valley Convention & Visitors Bureau's event website.